On tropical Pacific atolls, the only thing more ferocious than a feeding GT is the sun. 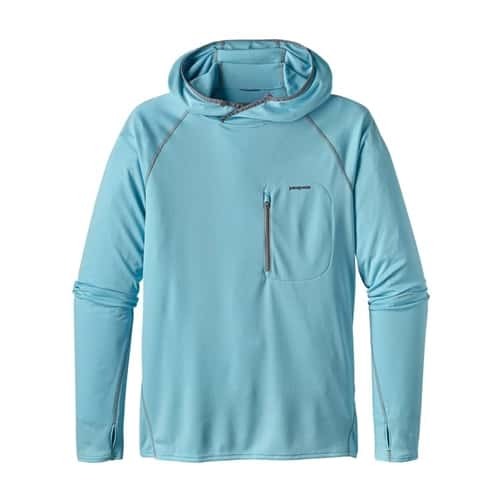 Fortunately, our Sunshade Technical Hoody, with its ultralight 3.54-oz polyester double-knit fabric and 25-UPF sun protection, offers full upper-body coverage and a cool, airy feel. Thumb holes pull the sleeves down to cover hands; the new, more relaxed hood fits easily over a baseball cap; and an upgraded vertical-zip pocket holds essentials. When the flats heat up, don’t wilt. Just throw on a Sunshade and keep fishing.